This Institute of Medicinal Plant Development (IMPLAD), Chinese Academy of Medical Sciences was established in August 1983 with six branches, which has a team of highly educated energetic Chinese medicine research scientists with 682 staff, including 1 member of the Chinese Academy of Engineering, 186 professors and associate professors, 5 National-level experts with outstanding contributions, 1 nationally recognized scientist , 3 Scholars from “Millions of Talent Project”，5 high-ranking professionals from Ministry of Health. 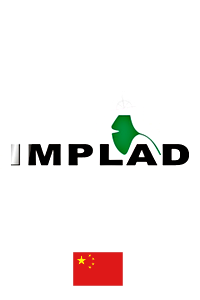 Since its foundation, IMPLAD has been actively involved in academic exchange home and abroad, and has established cooperative relationship with many academic institutions from more than 50 countries including USA, the UK, France, Canada, Japan, Peru, Italy, Germany, and Luxembourg etc. A large number of international cooperative programs have been carried out. Over the past few years, it has sent over sixty researchers to such places as USA, the UK, Korea and Luxembourg for training, study and collaborative research, and about three hundred have been sent abroad to participate in international conferences and academic exchanges, and have hosted the training of more than sixty researchers from many countries as the UK, Canada, Austria, Luxembourg, Italy, Peru, Japan, and Philippines. Over the past years, more than 4000 papers have been published, and 588 postgraduates and 48 post-docs have been trained.